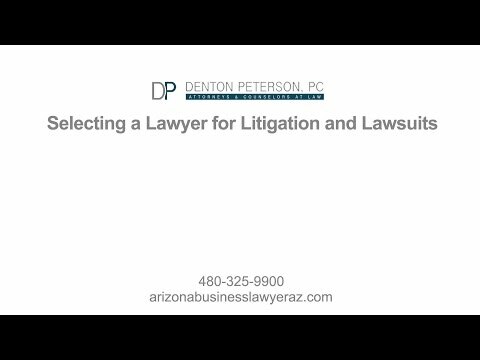 Negotiation Theory Applied to Employment in AZ | Denton Peterson, P.C. An employee and an employer are at odds with one another. Unfortunately this has escalated into a conflict where the employer is trying to figure out whether or not to terminate the employee. The employee is trying to figure out if it makes sense to quit and move on—or maybe even hire a lawyer and file suit. This is a hard situation for both parties. The purpose of this article is to apply the developments of negotiation theory to the decision making in this situation. Before reading further, if you are in this situation our firm Denton Peterson, PC advises clients on these matters, whether you are an employer or an employee. The Harvard Negotiation Project began an important academic journey into discovering and describing the utility of negotiation. Harvard University was not the first institution to study the importance of negotiation, but the impact to business and law was immediate. Roger Fisher and William Ury were the joint heads at the beginning of the project. Together in 1981 they published Getting to Yes: Negotiating Agreement Without Giving In. Most scholarship today in the area of conflict resolution or negotiation theory will hark back to the theory that was introduced in this text. If you have not read from this book, you might consider going to buy it and stick it in your office so you can access it when you need to make important decisions. Our partners have familiarized themselves with its principles—ever since founder Brad Denton studied Getting to Yes and received high marks in his law school negotiations class at the University of Chicago in the early 1990s. In Getting to Yes, the authors present a theory of interest-based negotiations. Interests are people’s needs, desires, wishes, and concerns. These interests can be in conflict with the party on the other side of the table as discussions commence. Focusing on the interests and not the positions allows negotiators more options in creating value and resolving a dispute. So much of current scholarship on negotiation and conflict resolution looks at how people make decisions based upon whether their interests are being validated within a given negotiation. The message is clear—emotions matter within legal negotiations. A critical part of any negotiation according to Getting to Yes is the plea to use objective criteria. Using objective criteria means using fair standards and fair procedures for valuing a claim within a transaction. Anyone who has participated in multiple negotiations knows that when a party seems to pluck value for a claim from thin air the party is called on this. The party is asked to show how he or she reached the amount requested. If they cannot come up with fair procedures or standards then the discussion is probably over and the talks end, because that party has not used objective criteria to value the claim. Applying Getting to Yes to the employment situation given at the beginning of this article makes the decision making harder. This is because terminating an employee can open up the employer to potential liability. Wrongful termination law, anti-discrimination law, and related employment law should be considered in the decision. This is because the law is used as a means of objective criteria for legal negotiations. The value and strength of a claim will be stress-tested through the negotiation process. The negotiators should be mindful of each side’s interests and not simply their positions. In 1983 Harvard founded the Program on Negotiation (PON) at the Law School. PON has become a great source on negotiation theory and conflict resolution. The Harvard Negotiation Law Journal is a great source for a negotiation practitioner to stay sharp on the updates to the field of negotiation. Both an employer and an employee could benefit from reading the negotiation articles that are produced by this program. Robert Mnookin the director to the Harvard Negotiation Project along with Scott Peppet and Andrew Tulumello in 2000 wrote Beyond Winning: Negotiating to Create Value in Deals and Disputes. This book expanded the theory from Getting to Yes by pointing out important tensions that occur within intense negotiations. If you can manage these tensions with skill and good judgment, then you are on the path to resolving the dispute. This is another book you will want to refer to in your office as you are making decisions with uncertain outcomes. The most complex is the tension between creating and distributing value. This is all about determining what is part of the deal and what is not. How do you expand the pie so the deal makes more sense to both sides? Is the pie even expandable? Another tension is between assertion and empathy. If you are too pushy, the other side will begin to reduce the value to the deal until it makes sense to walk out. On the flip side, you must be able to articulate what you want without being walked over. This is a difficult tension because people crave to be understood and will often obstruct discussions until this interest is met. When both sides are trying to do this simultaneously it can be chaotic, and important information can be missed. Applying this to the situation of determining whether to terminate the employee, both sides will have to think about the value of the transaction. Internally both sides will problem solve by thinking about alternatives to termination. Is mediation an option that the employer would entertain? Mediators, acting as neutrals, can assist parties in decision-making within a negotiation. The allure of mediation is that the participants can meet and discuss before a formal decision is made, or after it is made. Some questions to consider: What is the value of keeping the employee, and what is the value with letting the employee go? Is there a way to alter the interaction between the employer and employee to email only, or over the phone only to reduce the tensions of interaction? Or is interpersonal interaction important? What does the employee desire from her employment, and what does the employer want? There are many ways to expand the negotiation to create value by either moving forward with the employee, or making an informed decision to end the relationship. During the negotiation, empathy is probably more important than assertion in the discussion, at least initially, so that both parties can feel understood the way they want to be understood. Procedural justice is an area of scholarship that looks to whether individuals feel a given process is fair. Active listening is the key to productive communication. Both parties need to feel heard and have their emotions validated. This is the case even when the outcome ends up being something that neither of them is desiring. In 2013 Michael Wheeler of Harvard Business School and part of the Program on Negotiation at Harvard Law School published The Art of Negotiation: How to Improvise Agreement in a Chaotic World. The Art of Negotiation brings an important criticism of Getting to Yes. People often do not know what their interests are until they are negotiating. This makes satisfying people’s wants, wishes, needs, and concerns a moving variable. Interests are not static. This means that negotiators need to be nimble and flexible with discussing a variety of different outcomes. To Inquire About Our Negotiation and Mediation Services, Call Denton Peterson Today. The book builds upon negotiation theory by adopting techniques from improvisation. This is necessary because interests are moving targets, so negotiators need to be skilled with improvisation. Being adaptable within a negotiation is critical to a successful outcome. Saying “Yes, and” at the end of a discussion on one thing can organically bring the discussion into another area of creating and distributing value. Also a skilled negotiator is comfortable with working in, around, and through uncertainty. Since interests are not static, this creates a whole new dynamic to the complexity of getting to an agreement. Applying this to the employment situation, both parties would recognize that the discussion has the potential to be messy. Any time you will be discussing people’s wants, wishes, needs, and concerns there will be an emotional component. Often the emotional component is the individuals wanting their emotions validated and understood. The uncertainty both sides feel with approaching the issue is a manifestation that they are both struggling with the possible outcomes. Expectations are not being satisfied, and that is pushing both parties towards making hard decisions. In emotionally intense negotiations it is hard to improvise, because people generally feel attacked when they are being evaluated. This situation will push both parties quickly into the fight (argue) or flight (avoidance) response. People instantly stop listening when they feel attacked and so they go on the defensive and the emotional intensity escalates. Improvisation takes professional judgment to find space to move a discussion in a way that is unexpected but creates safe space to continue important dialogue. In this situation both parties could prepare for this discussion by enlisting the help of an outside party to prepare them. The parties could role play this situation out. The more prepared the parties are the more likely they can improvise within the negotiation. At Denton Peterson, PC our attorneys have long experience advising clients when this kind of situation occurs, whether you are an employee or an employer. We will take the time to understand your specific situation and desires and go more into depth with both the law and negotiation theory so that you can make an informed decision. We will then do our very best to assist you in reaching your goal. As attorneys we care about outcomes and your success—because we know you do.